Now that Mr Kamath is expected to work the same magic as he did at ICICI Bank over the last quarter century,some of the uncertainty that surrounded Infosys is history. Adjusted EPS of Rs 99.46,Current Ratio 4.28,Dividend Payout ratio28.84,trailing P/E of 25.9.Lets put aside the cold stats for a while and remember the words of Mr Buffett,"Be greedy when others are fearful and be Fearful when others are Greedy". 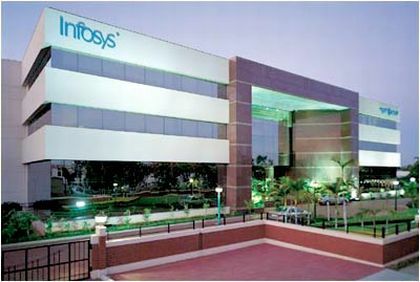 All the analysts I talk to seem to be 'fearful" for the future of INFOSYS what with TCS,Cognizant snipping at its heels,the Leadership looking defensive and margins slipping. It makes a compelling case for a 5-10 year investment.IT will be more than a need,its already a necessity,could be Cloud Computing,Nano networks or simply vanilla outsorcing.I see Infosys adapting to the market changes in the coming years and its formidable reputation alone will win it many mega $ contracts. At current market price of Rs 2900 its a BUY with additions at every dip.Have the courage to hold it for 5 years and the Dividend(tax free) alone will make it worthwhile.